Check out our first fall featured member! Kerri Harding of Charleston, South Carolina. 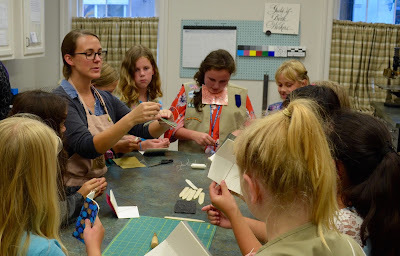 In June of last year Kerri Harding moved to South Carolina to take a position at the Charleston Library Society as the Director of the Bindery and Conservation Studio. At CLS, Kerri spends most of her time on Special Collections conservation and creating full leather presentation bindings. These are given as a token of appreciation for guest speakers, including authors Julian Fellows, David McCullough, and Bernard Cornwell. Kerri joined the staff at an opportune time; the CLS will be celebrating the release of its first publication, Rare, Prized, and Valuable: The Charleston Library Society’s Favorite Fifty from the Collections, in the fall. During production, the bindery was transformed into a photo studio to provide the images for. 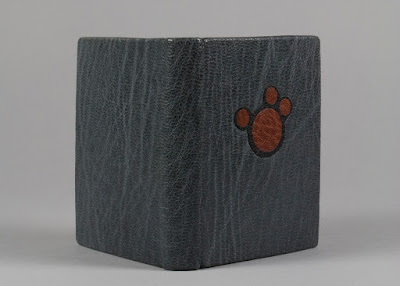 Q Is there anything in bookbinding that interests you most? I'm a bit of a generalist. Though, I love the materials. I could stare at sample books all day. I also enjoy working with my hands and find it really satisfying to have tangible results at the end of the day. Q Before moving to the SEGBW were you involved with other GBW chapters? I served as the Midwest Chapter Programs Chair for a year. I worked with Mary Uthupparu on the 2016 annual meeting, and then passed of the duties since I had left the region. 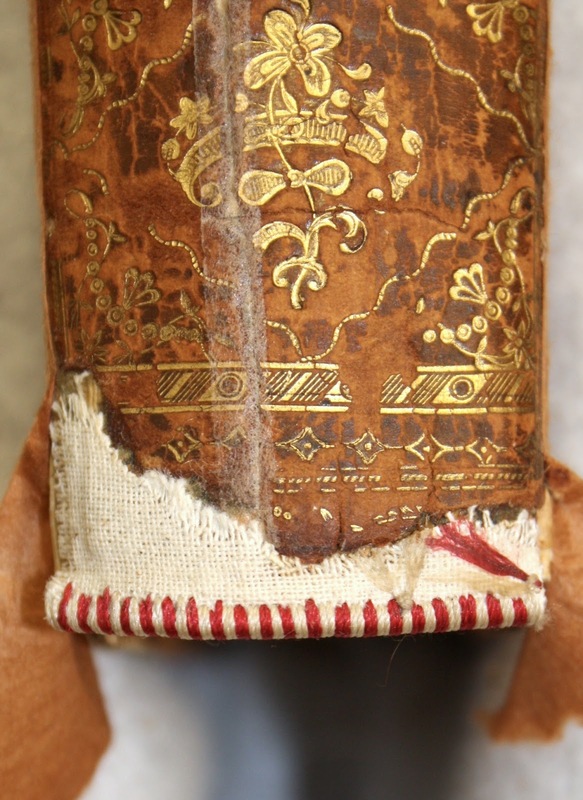 Q What are some of the current binding or conservation projects your working on? I have several conservation projects on my bench at the moment, including An Account of the Pelew Islands by Captain Henry Wilson published in 1788. It's a tightback leather binding with absolutely lovely gold tooling on the spine. The boards were detached and a crack runs the full length of the spine. It has been and interesting challenge to reattach the boards and provide structural support without intruding on the gold tooling. It is a slow moving project, but I've leaned a great deal from working on it. Q Is there another skill that you’d like to learn? Everything! I want to learn everything! I'll paraphrase Chaucer, who paraphrased the Greeks; Life is short and the craft so long to learn. I spend a lot of time on research and experimentation. I have also been brushing up on fine binding and finishing techniques. I recently took a Gold Tooling workshop at the Well Summer Institute taught by Sam Feinstein. I am eager to get more practice in. I would also like to learn more about edge decorating techniques. Hello, and welcome to the Southeast Chapter of the Guild of Book Worker's online newsletter. We hope you'll check back here regularly for news and posts about upcoming events in the southeast region. If you have questions, or would like us to add something book-worker-related to the blog, please email southeastguild(at)gmail.com with the relevant information.